ChIME faculty members and its staff bring gifts and experience from a broad spectrum of traditions, disciplines, and arts. Below are some of our key Faculty and Adjuncts as well as guest instructors and national speakers that vary year-to-year. Patricia is a graduate of the New Seminary of New York City and has been ChIME’s Abbess since its inception in 2002. A Registered Counselor in the State of Maine, she is trained in a variety of modalities including Spiritual Direction, Rubenfeld Synergy, Project Nature Connect, Plannaging, and hospital clowning. Raised in the Christian tradition, in her spiritual life Patricia also draws on and integrates Jewish, Buddhist, Hindu and Nature Spirituality practices and rituals. She has extensive experience in supporting individuals through times of grief, loss and change. A 2016 graduate of ChIME, Katie has also received a BA degree from Dartmouth College and her MSW from Boston College School of Social Work. She has worked with people of all ages in Boston and in Maine and has most recently focused on the use of compassion and mindfulness in her work. She lives in Cape Elizabeth with her partner, their teenage son, and their 2 year old Australian Shepard. She enjoys the outdoors while hiking, swimming, bike riding and sitting under trees. She looks forward to meeting you. Alaena is a Nonprofit Administrator from Minnesota with a range of experience including volunteer management, event management, communications, and development. She has worked at a variety of organizations, including Make-A-Wish® Minnesota, Women’s Advocates (a domestic violence shelter), and Amani Children’s Home in Tanzania. She lives in Scarborough with her two feisty kids, Fiona (7) and Silas (4), where she tends a small (but beloved!) permaculture garden and fledgling food forest. Angie was ordained as an Interfaith Chaplain in 2007. She has served in various ChIME roles over the years as both faculty and staff and is now serving as the Program Assistant temporarily. A 2017 ChIME graduate, Craig earned an M.Ed. in Counseling from the University of New Hampshire where he served as an experiential educator, educational program administrator and faculty member there for more than twenty years. Craig has toured many parts of the world as a singer-songwriter and multi-instrumentalist. He currently serves in hospice with his pet therapy dog, Sadie; facilitates groups at the Krempels Center of Portsmouth, NH, for survivors of brain injury; serves as pastor for the Nottingham Community Church (UU); and shares a home with his wife and best pal, Liz, in Newmarket, NH. Heather creates content, directs social media, and takes on special design projects for ChIME. Heather has worked for over 10 years in nonprofits, including as the Senior Associate Director of Donor Engagement at The Jackson Laboratory, Development & Campaign Manager at Good Will-Hinckley and Development and Communications Coordinator at The Center for Grieving Children. Heather enjoys this diverse experience and is rewarded by the friendships and partnerships she makes along the way. Heather feels privileged to work with organizations and people to make a difference in the world. 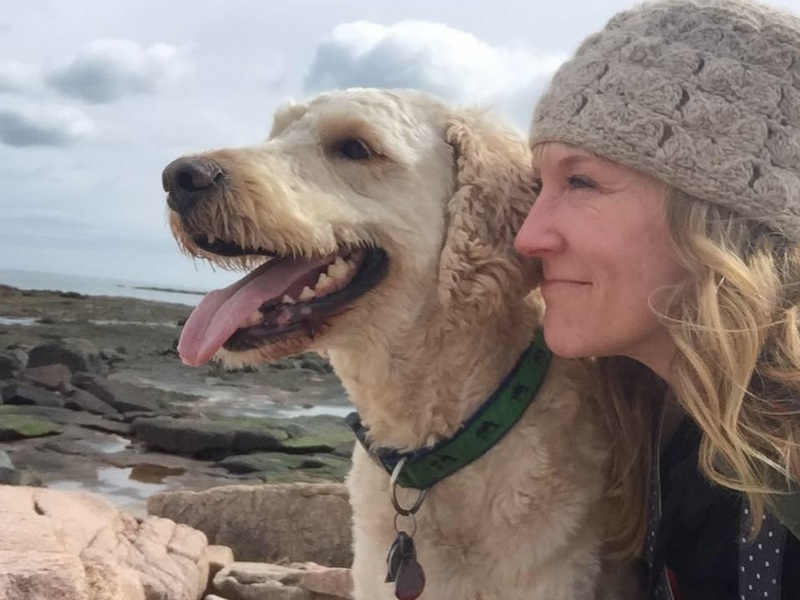 When Heather is not working, she is hiking all over the state with her dog Finnigan, practicing photography, or trying new recipes from her numerous Pinterest boards. H. William (Bill) Gregory, Rel. D.
A retired pastor and preacher in the United Church of Christ, Bill has served UCC congregations in Claremont, CA, Lincoln, MA, Berkeley, CA and Portland, ME. He is an inclusive Christian, grounded in Jesus, finding Light in other faith traditions as well. His primary communities today are his family and membership in the First Parish Church in Yarmouth. Bill likes to write - two books - “And the Answer Is Yes” and “Faith Before Faithfulness”, columns for the Portland, Maine Press Herald’s Religion and Values page, sermons, essays, poetry, etc. He leads a long running spiritually seeking group and mentors those few who seek him out. He belongs to two men’s groups and a grandfather’s group and enjoys walking. Cathy was ordained in 1999 by the Interfaith Theological Seminary in Tucson, Arizona. She has worked with her spiritual teacher, Dr. Beverly Lanzetta, for over 35 years and completed an M. Div. and monastic studies program with Dr. Lanzetta. She is also an artist and recently retired as a public school art teacher after 29 years. She has performed many life ceremonies including, weddings, memorials and naming ceremonies. In addition, she provides spiritual direction services and was instrumental in founding the Interfaith Ministers of New England, a professional membership organization. Reza is a writer, educator, and Muslim scholar whos books include New Mainers, Moon Watchers, Homesick Mosque and Other Stories. His five-act play about women in Iran, The Poet and the Assassin, has been staged at Bates College, USM, Bowdoin College, University of New England, the Space Gallery, and Unity of Greater Portland. In May 2015, Reza was featured in the popular NPR program, The Moth Radio. He is the Muslim Chaplain at Bowdoin College, and teaches in the Honors Program at the University of Southern Maine, where he served for many years as Coordinator for Multicultural Student Affairs. His forthcoming book, God Speaks in Many Accents, is about the religions of Maine’s immigrants. Joel was ordained as an Interfaith Minister by the Chaplaincy Institute for the Arts and Interfaith Ministries in 2000. He has worked in Massachusetts as an Interfaith Chaplain with Hospice of the North Shore and is presently &quot;Director of Spiritual Care/Volunteer Coordinator&quot; with Constellation Hospice. He has also provided chaplaincy services at Beverly Hospital, Essex County Correctional Facility, and Danvers Detox and Rehabilitation Services. He has had a private practice as a psychotherapist for over thirty years, was a teacher of the “Mindfulness Based Stress Reduction Program,” and was Coordinator of Health Promotion at the University of Massachusetts–Boston. Guan (aka Joan Uraneck) entered ChIME as a student in 2009, and as a member of the Core Faculty in 2013. She says, “At ChIME I embarked on an incredible journey that changed my life forever….I see myself as a contemplative mystic serving my community and the world.” Guan’s calling as an Interfaith Minister came after many years teaching students at the Maine College of Art. Her call led her to form a hands-on ministry to help those who have suffered the loss of a loved one - “learning to start lawn mowers, cleaning out stuff, and sitting in companionship with those in grief.” She has also been a Statement Gatherer for the Maine Wabanaki-State Child Welfare Truth and Reconciliation Commission. Mary is a 2013 graduate of ChIME, and leads ChIME’s class on the Feminine Divine. Along with her husband, Rev. Mark Gallup, Mary lives at Shaman’s Rest, a retreat center in Wells, Maine. With a wealth of experience and knowledge of many earth-based traditions, Mary is affiliated with First Parish Unitarian Universalist Church of Portland, and the Maine Pagan Clergy Association. She designs rituals to help individuals celebrate all life passages, including births, weddings, deaths, home blessings, coming of age, and other transformative life experiences. Her public speaking and preaching is related to spiritual practice, creativity, death, earth-centered beliefs and practices, the Goddess, and mysticism. Jacob received his Doctor of Ministry degree from Matthew Fox's University of Creation Spirituality in California. He was ordained an Interfaith Minister at the Chaplaincy Institute for Arts and Healing Ministries. He continues to teach for ChIME, but retired as Abbot in 2013. Also that year Jacob received the Huston Smith Award for Interfaith Education (Lifetime Achievement) from the Council of Interfaith Communities USA. He is the author of Essence: The Emotional Path to Spirit and Enso Morning: Daily Meditation Gifts. He offers workshops, and as an Interfaith Community Minister offers individual meetings for Spiritual Companionship. Please visit his website. Lama Willa is the Founder and Spiritual Director of Natural Dharma Fellowship in Boston, MA and its retreat center Wonderwell Mountain Refuge in Springfield, NH. She was authorized as a dharma teacher and lineage holder (lama) in the Kagyu lineage of Tibetan Buddhism after completion of two consecutive three-year retreats in the nineties. She has also practiced in the Shangpa and Nyingma lineages. She is editor, author and translator (respectively) of three books: The Arts of Contemplative Care: Pioneering Voices in Buddhist Chaplaincy and Pastoral Work (2012), Everyday Dharma: Seven Weeks to Finding the Buddha in You (2009), and Essence of Ambrosia (2005). In 2013, she received a doctorate from Harvard University in Religion, and is currently Visiting Lecturer in Buddhist Ministry at Harvard Divinity School. Marsha is the faculty member teaching the class called “Prejudice, Privilege and Bias.” She is currently living the life she wants as an enthusiastic entrepreneur and leadership consultant. She was a partner with The Greenshoe Group, an international consulting firm for 20 years. She spent the last four years living and teaching at a university in South Korea. Marsha was Corporate Diversity Education Manager and Worldwide Education Manager for Digital Equipment Corporation. She served on the faculty of Antioch Graduate School of Organization and Management (1993-2005). She was an adjunct faculty at The University of New England (2007-2010) working in Haifa and Tel Aviv, teaching Cultural Diversity. During the summers (2007-2011) she worked for Seeds of Peace facilitating dialogue groups for adults from Israel, Palestine, Egypt, Jordan, India, Pakistan and Afghanistan. Dana teaches courses in philosophy and world religions as a former full-time member of the faculty of Maine College of Art (MECA), and has shared his wisdom with ChIME for many years. He recently released the authorized biography of Huston Smith (author of World Religions), and has also written a critically acclaimed biography of Aldous Huxey. Professor Sawyer has traveled extensively in India, Nepal, Pakistan, Thailand, Cambodia, Hong Kong, and Japan. He has lectured at the Kyoto University of Foreign Studies, Banaras Hindu University, the University of Riga, Latvia, the Huntington Library, and at colleges at conferences throughout the U.S.
Russill is a native of India, now living in Texas, who has taught spirituality at some of the most respected institutions, centers and conferences in the US and Canada. His formation is that of both a Benedictine monk and a yogi, as well as working as a professional musician and music producer. He is the author of the Yoga of Sound and Jesus in the Lotus, and a sought-after teacher online and at live events. Russill has taught in graduate and post-graduate spirituality programs of leading educational institutions in California. He also leads an annual pilgrimage to the Shantivanam Monastery in India. Please visit his website. Colleen is a Minnesota native who has spent most of her adult life in New York City and Maine. She has her MDiv degree from Union Theological Seminary and her JD from the University of California School of Law at Berkeley. Colleen is drawn to the prophetic aspects of ministry, and formerly served as Community Liaison for ChIME, helping spread the word about this life-transforming educational program for the whole person. She teaches Gentle Kripalu Yoga at the Greater Portland branch of the YMCA and teaches Healing and Spirituality in the Holistic and Integrative Health program at the University of Southern Maine.